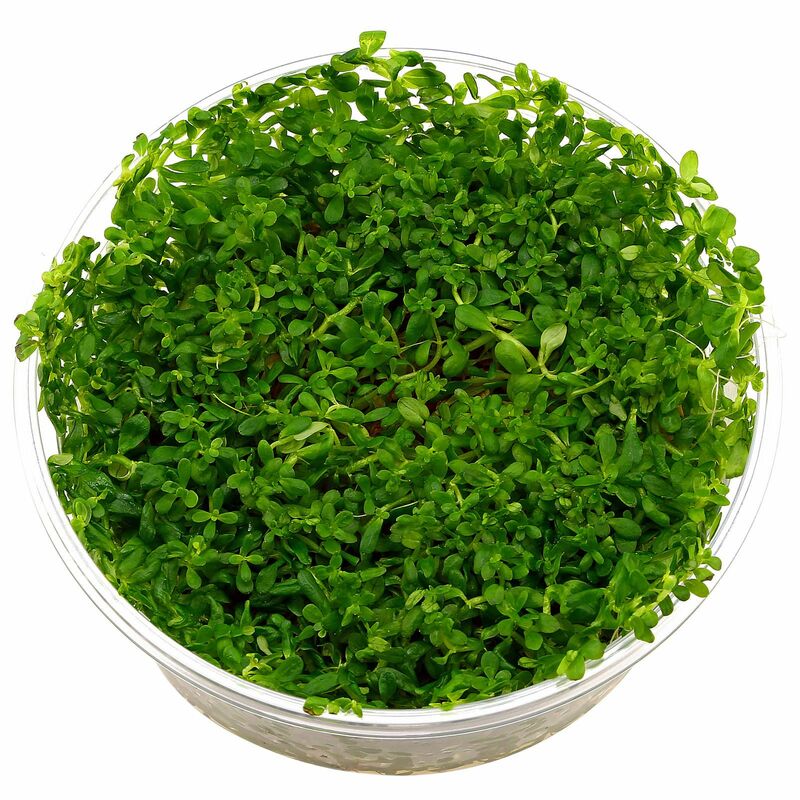 Rotala sp. 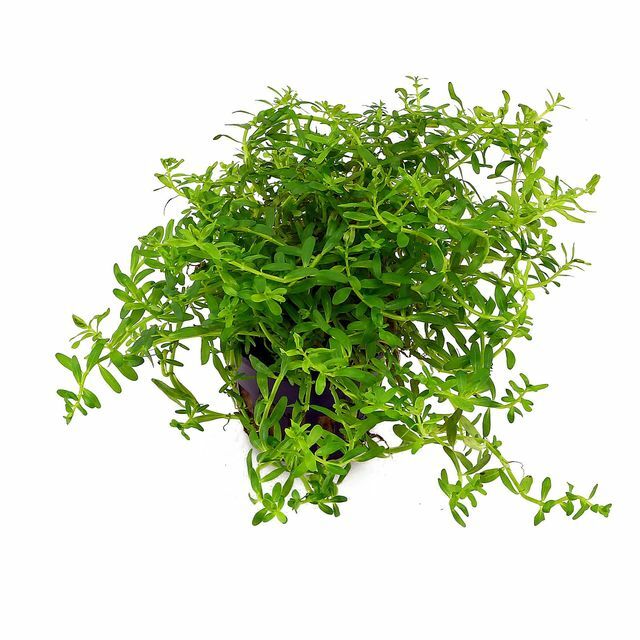 "Green" is probably a variant of the variable species Rotala rotundifolia. In contrast to "standard" R. rotundifolia, R. sp. 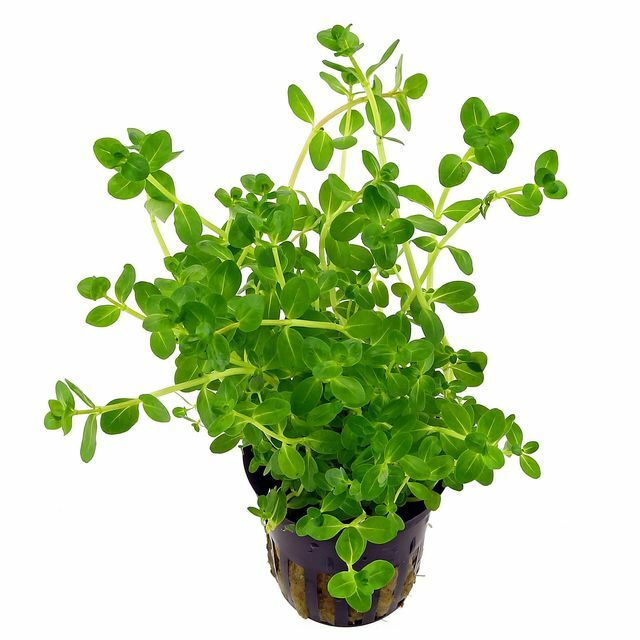 "Green" never turns reddish but keeps its fresh green colour even under very strong light. The plant has an attractive bushy elegantly overhanging growth habit. An occasional thorough trimming is recommendable, as this plant is a very fast grower. Amano masterfully uses the characteristic overhanging growth habit of this Rotala in many of his aquascapes. - always only 2 (not 3 or more) leaves per node. Sometimes, other green forms of Rotala rotundifolia are sold under that name in trade, however, their submersed stems still show at least a reddish hue and grow strictly upright, other than those of true "Green". One can choose these plants if the overhanging habit of true R. rotundifolia "Green" does not complement the layout. However, this typical growth habit can be an interesting design feature. Wie hier auf dem Bild abgebildet, bei mir angekommen! Einwandfreier Zustand u. super verpackt. Wie immer alles erste Sahne! ***** Danke! 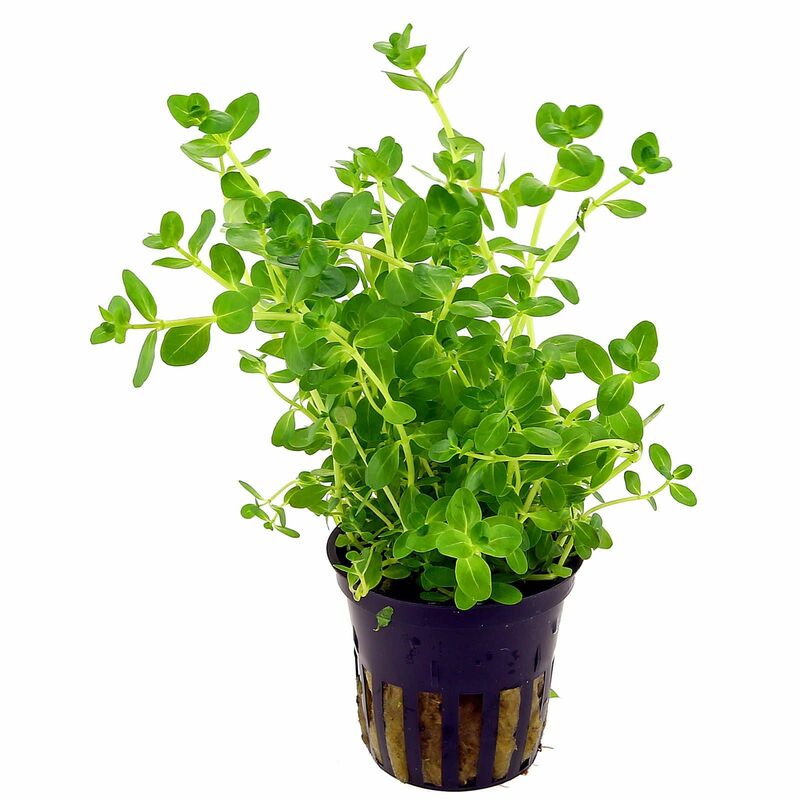 Die Rotala rotundifolia wurde mir in meinem Becken zu bunt und somit musste mehr grün her. Rotala sp. green ist von den Kulturansprüchen erwartungsgemäß genauso anspruchslos wie rotundifolia und mindestens ebenso wüchsig. Also gut für alle die schnell eine Lücke füllen müssen. Die Qualität der gelieferten Pflanzen war tadellos.